Buggy boards just didn’t work for my extremely tall toddler or the Mountain Buggy handle extension we needed to accommodate my extremely tall husband. So my toddler had to walk – if only he could have taken a seat, it might have saved a few meltdowns. I don’t need to sell the advantages of these kind of pram attachments – we have all had times when our toddlers almost go the distance but then their energy just runs out. Better that they take a seat on the Kid-Sit rather than the middle of the footpath! 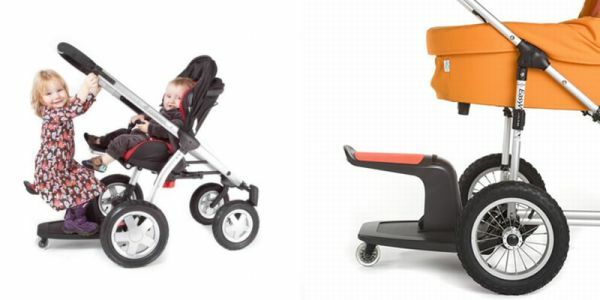 The Kid-Sit attaches to prams in the same way as a buggy board and folds up when not in use. 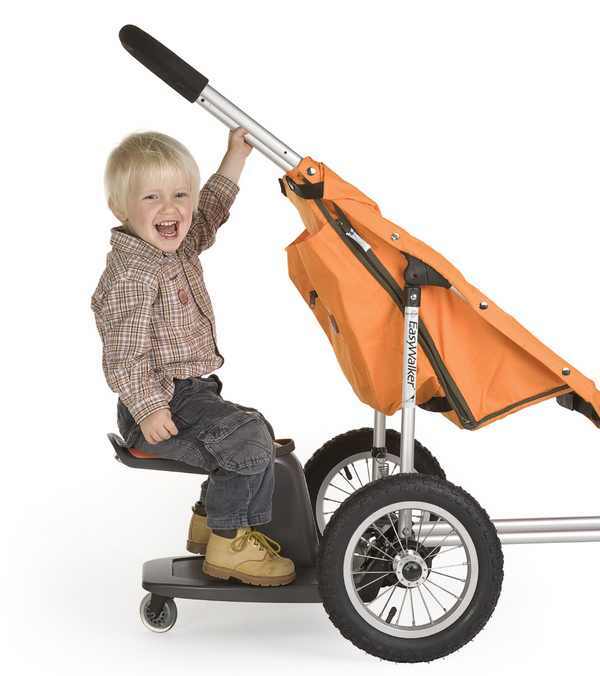 It can be used as a traditional buggy board too, as the seat section is quickly and easily removed if preferred (perhaps you start your trip with the board and offer the seat when things get really tough and energy levels are flagging!). The Kid-Sit fits a large number of prams including Bugaboo, Quinny, Mountain Buggy and Phil & Teds models. Kid-Sit is available from Bambini Pronto and costs $189.99.